Rain and wind didn’t quite wreak havoc on the barrier island Monday, but it made for a messy and annoying drive for locals. 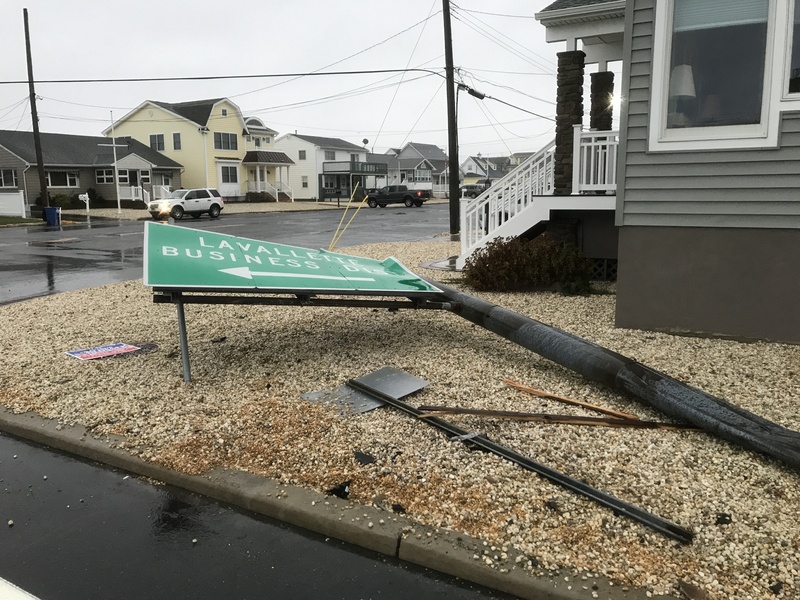 In Lavallette, a “traffic emergency” was declared on Route 35 south at the border with Ortley Beach, where a massive overhead sign directing drivers to the Lavallette business district came crashing down. 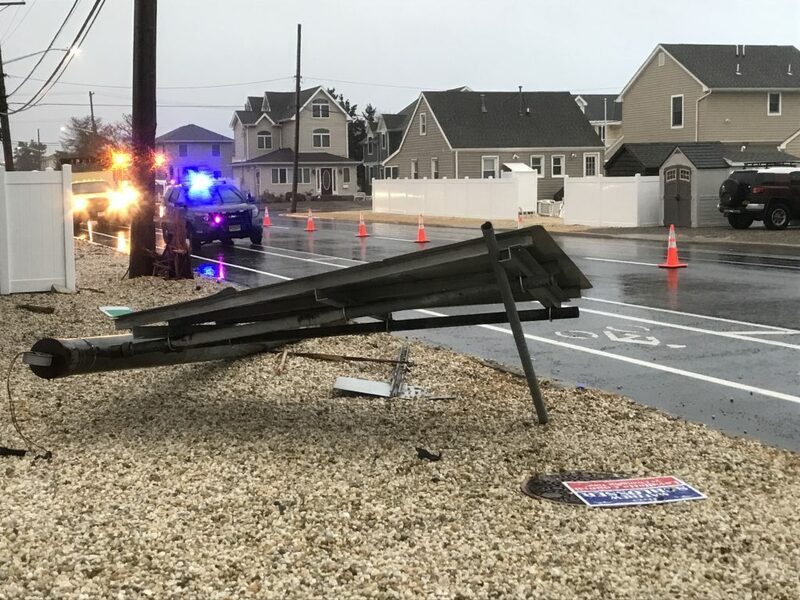 Police and New Jersey Department of Transportation officials were on the scene, and traffic was being blocked off a quarter-mile around the intersection with drivers being directed into the left lane. There were no signs of an accident at the intersection, and DOT officials were not immediately available for comment. In Seaside Park, flooding was the main issue. North Bayview Avenue in the borough was closed for its entire length, and local streets were blocked off with barricades. Some drivers – mainly those behind the wheel of four wheel drive SUVs – were able to make it through, but not without a splash. It’s the second day of flooding along Seaside Park’s bayfront. High tide was at 1:55 p.m. Monday afternoon, and the water began receding around 3 p.m. 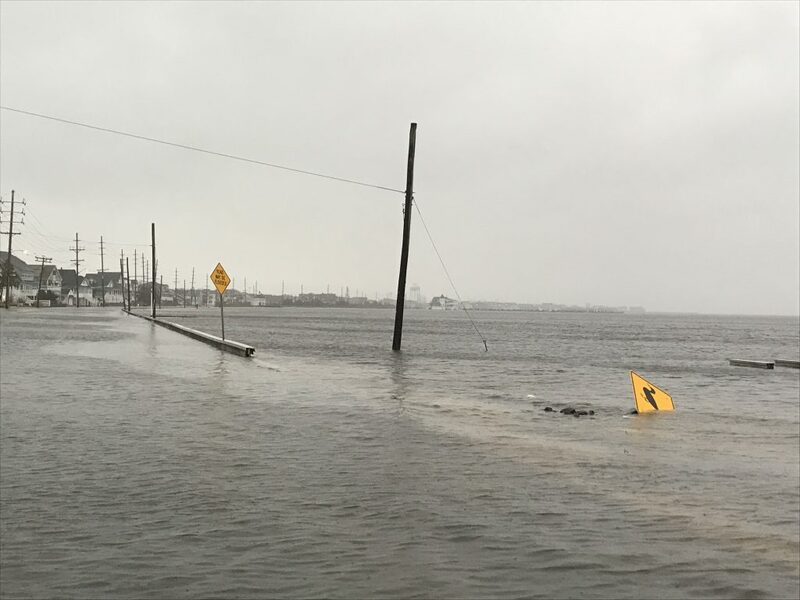 The National Weather Service said minor tidal flooding would continue through Monday night due to runoff from rain as well as the high tide. A flood watch was in effect until 1 a.m. Tuesday. Mostly sunny skies will return Tuesday, though it will be breezy, with a west wind whipping at about 24 m.p.h. and gusts as high as 34 m.p.h.